“The Bachelor” war tour stopped in Vietnam. All aboard, the next stop is New Zealand. At this point, everyone but Andi has had a one-on-one date which is a travesty (not Kelly, but I still miss her.) The date card arrives and obviously Clare thinks it should be for her. After the swimming, they have dinner on a geyser and get drenched. Do not fret because Andi looks fabulous and what do you do when all else fails? You kiss of course. The women act like this date is so original and fun. As entertaining as it is to see Juan Pablo and his ladies roll down hills in wet balls, they have these at my local mall. I would be puking or dying over the motion sickness and germs involved. Anyway, the ladies love it and look like they are getting birthed each time they climb out. It is Cassandra’s 22nd birthday and I still cannot get over the fact we are the same age. She is actually a few months older than me since I turn 22 next Thursday. That is irrelevant and I am sure this is exactly how she imagined her birthday. 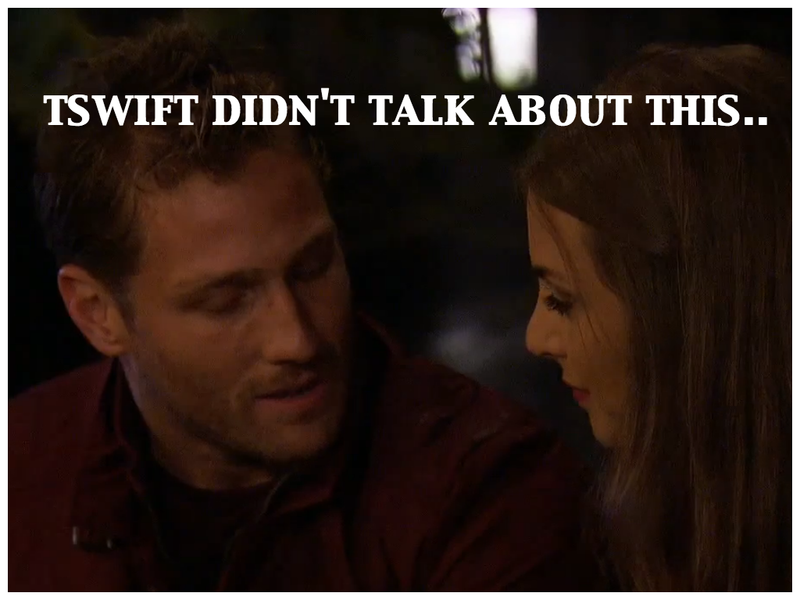 Juan Pablo gives out the rose but then pulls Cassandra aside. Maybe he got her a cake, card or flowers? He has a serious look on and it is not looking good. He will not send her home on her birthday, right? Wrong, wrong, wrong it was turning south in a hurry and he does not want to keep her away from her son any longer. Can we rationalize this? He did not know anything new about her from the last time he saw her when he gave her a rose at the ceremony. He takes her on a group date on her birthday and then is not feeling it? While this may be honest to some people, he did not want to keep her from her son, but was cool with letting her set on a plane by herself on a plane on her birthday. He should have sent her home the week before or gave her the luxury of getting drunk in New Zealand with the ladies that night. Taylor Swift definitely did not prepare Cassandra for this moment. The Bachelor makes a girl feel special by giving her the first one-on-one and then proceeds to give her special treatment throughout the process. This leads to sneaking away from group dates and getting in cold pools to showing up and knocking on the door at 4 a.m. This turned into swimming in the Vietnam water and ending up in a sea of regret. One week later, Clare gets the first one-on-one in the second round. She is “so” surprised and knows he is going to feel bad. Honestly I did not think he would feel bad or even act like it but he did. So what is worse than swimming in water with a woman, regretting it and then taking her on another date? This, he apologizes and is over it. Later, they put on “peeyamas” because that totally does not lead someone on at all. Clare forgives Juan Pablo, he is sorry and they are back. If he takes her to the end and does not choose her it might be the worst breakdown ever. Kat tells more secrets and I am convinced she should not do that because if he sends her home, she just talked about the past on national TV. I am thinking Chelsie is going to go home and no he sends Kat squared home. All of those secrets were spilled for no reason. Next week looks dramatic and I cannot wait! Who do you want to be the next Bachelorette? Who is perfect for Juan Pablo? All photo rights belong to ABC/Disney. Written by Ashley Elgin. Copyright © 2017. Simple theme. Powered by Blogger.